The Napoli Unplugged Guide to Naples was written by four women united by a common passion – Napoli! They love to wax lyrical about their adoptive city; their book will make you feel like you’re seeing Naples through the eyes of your best friends. The guide features in-depth coverage of the historic and cultural landmarks and has all of the practical information one might require, but it is written in a strongly narrative style and with the intrepid traveller in mind. Armchair travellers love it too! The stories of Naples and Campania, the area’s history, culture and, above all, its people, is what the authors take pleasure in sharing. Their prose is embellished with over 100 beautifully composed photographs, plein air paintings and hand painted cartography. “Transportive”, the Napoli Unplugged Guide to Naples will have you smelling the pizza and espresso before you’ve ever touched down in Napoli. Four women united by a common passion have created an extraordinary tribute to the city they love. Barbara Zaragoza moved to Naples for her husband’s work and for three years she set off, kids in tow, to explore Naples and beyond, recording her adventures in her blog, The Espresso Break. Soon after returning to the U.S., those blog pages became the guidebook, The Espresso Break: Tours and Nooks of Naples, Italy and Beyond. 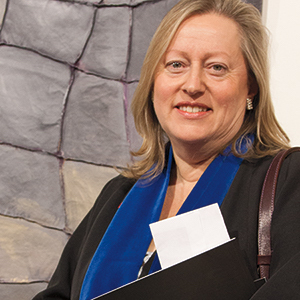 Barbara enlisted Penny Ewles-Bergeron, a writer and artist living in the heart of Naples at the time to edit The Espresso Break. 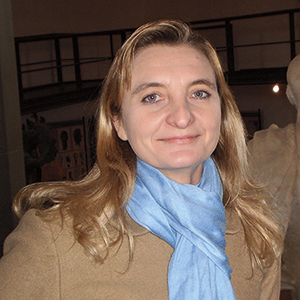 Around the same time, Bonnie Alberts was busy creating Napoli Unplugged, a website that has become the English language voice of Naples and a true labour of love as, day by day, she presents her adoptive city to the world. She and Penny met through the website and became fast friends, bonding over their shared fascination with the city and serial plates of pasta genovese (research). The trio’s current venture brings together content from Barbara’s book and blog and Bonnie’s website along with a substantial quantity of new material written by Bonnie and Penny, who also served as editor-in-chief. 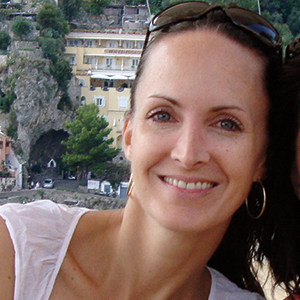 Erin Romano, a graphics designer who lives in Positano, completes this quartet of women who share a passion for Naples. The layout and design of the book is owed entirely to Erin’s creative vision. The book is illustrated by a blend of Bonnie’s photographs enlivened with ink and watercolour paintings by urban sketchers Lorenzo Dotti and Simonetta Capecchi. 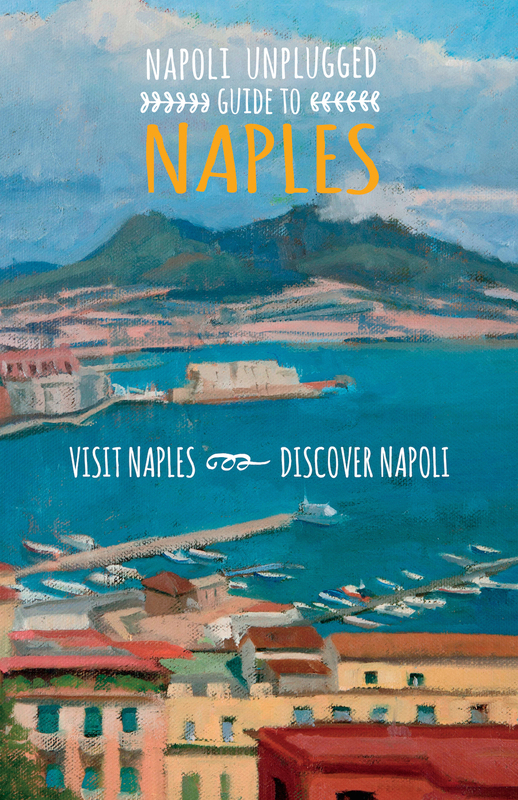 Rome-based plein airpainter Kelly Medford was commissioned to paint four new views of Naples in oil and these feature in the book, one of them providing the beautiful cover illustration and she is the brush behind the maps in Rambles Through Naples. 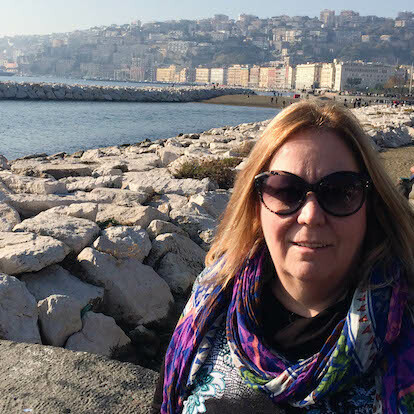 Rome blogger, tweeter, beach girl and author of the Amalfi Coast Travel Essentials iPhone app, Gillian Longworth McGuire added her expertise to the Seaside Delights: The Bay of Naples & The Amalfi Coast. Finally, Holly Willmott, an English teacher living in Naples and whose mastery of the Italian language rivals that of her native tongue, was relentless in tracking down every last detail in the “Plan Your Visit“ sections and navigating the various Italian bureaucracies in hot pursuit of photo permissions. And as the Napoli Unplugged News and Events Co-ordinator, Holly kept the website humming while Bonnie was otherwise consumed with the book. Love the book. Part guide book, part history lesson, part culinary tour. I feel like I’ve been there already! First thing into the suitcase. I usually go for another well crafted travel series of books for reading a great travel guide when about to go on vacation, but this one is such a fabulous encyclopedic guide to majestic Naples, Italy and the wonderful surrounding area, I would choose this book instead to carry with me, or to research ahead of my visit. Napoli Unplugged is pure treasure! Read the entire review on Goodreads.